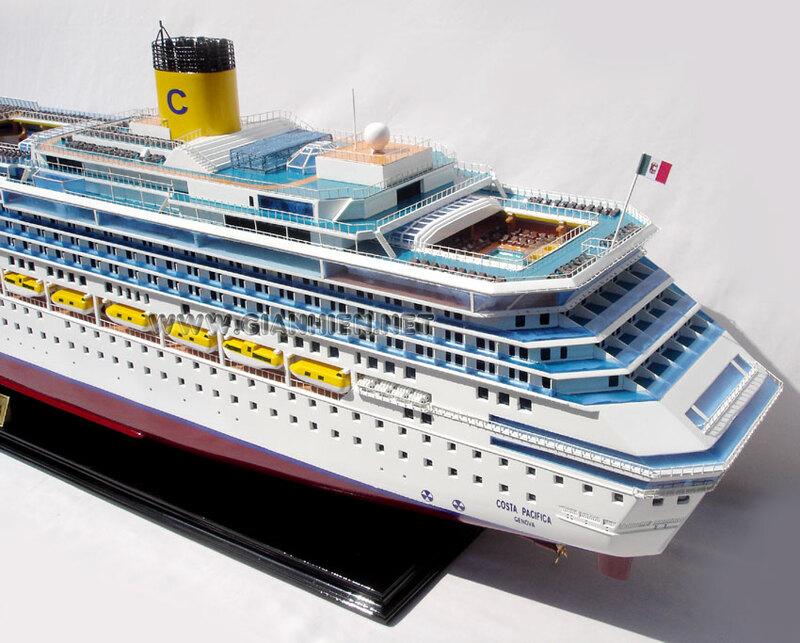 Costa Pacifica is a Concordia-class cruise ship for Costa Crociere. She was handed over to Costa Crociere in 29 May 2009. 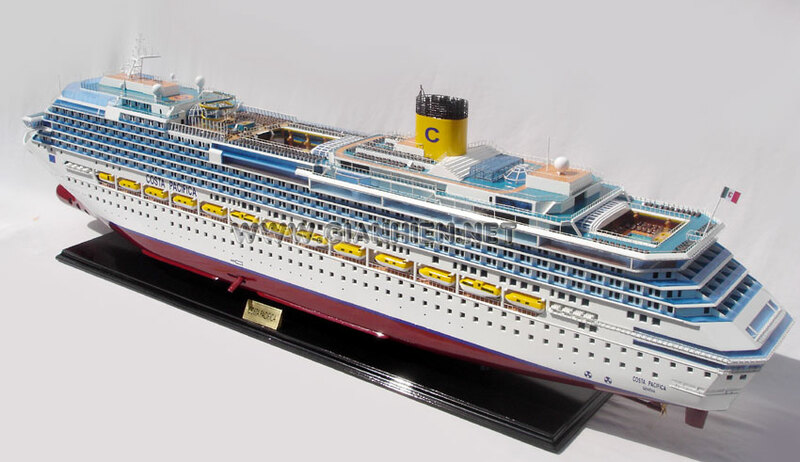 Her sister ships, Costa Concordia and Costa Serena, were launched in 2006 and in 2007, with Costa Favolosa and Costa Fascinosa launched in 2011 and 2012 respectively. Onboard facilities included are the Samsara Spa and the PlayStation World, an area boasting PS3 consoles, and the first recording studio at sea. 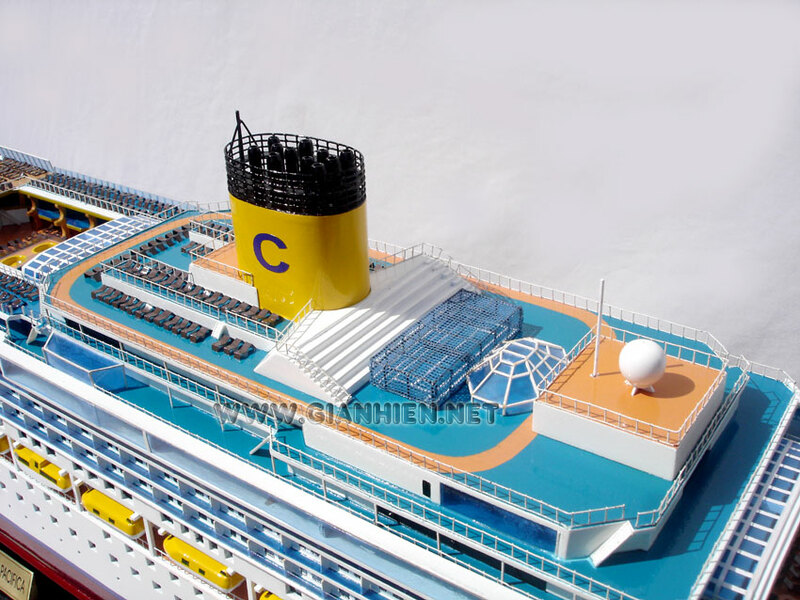 The ship was inaugurated in a dual christening ceremony, along with Costa Luminosa on 5 June 2009. Costa Pacifica is the third ship of the Concordia-class, preceded by sisters, Costa Concordia and Costa Serena and will be followed by Costa Favolosa and Costa Fascinosa on 2011 and 2012, all part of the expansion program of Costa which entails an investment of 2.4 billion Euro, and is currently the largest fleet expansion program in the world. 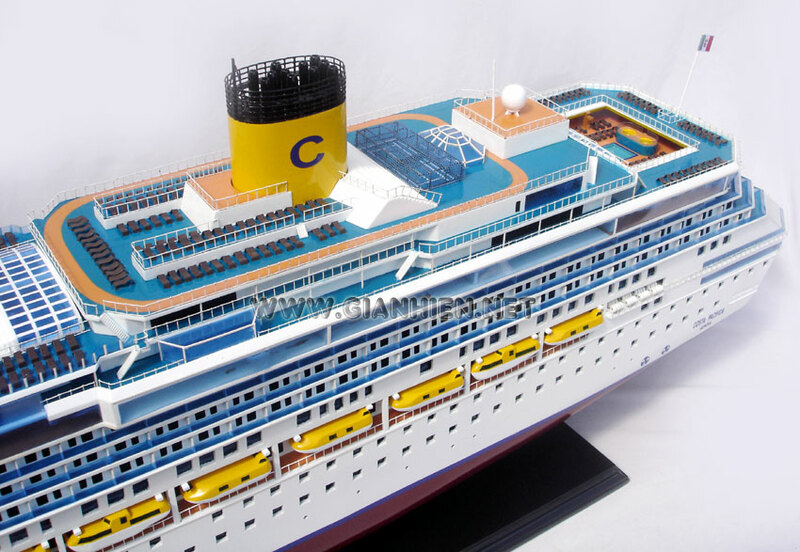 Costa Pacifica was ordered in 14 December 2005, by Carnival Corporation, the parent company of Costa Crociere. The order was four ships, which includes; Carnival Dream, for Carnival Cruise Lines; Nieuw Amsterdam for Holland America Line; and Ruby Princess for Princess Cruises, at a total cost of US$3 billion. The bow section of Costa Pacifica was built at the Fincantieri Palermo shipyard and was launched in 24 July 2007. The section was then towed to Fincantieri's Sestri Ponente in August 2007 for further work, which also marked the announcement of the ship's name. She was launched at Fincantieri's Sestri Ponente shipyard in 30 June 2008. She returned to Sestri Ponente from her sea trials on 30 March 2009, for the fitting-out process. Almost 3,000 workers helped in the construction of Costa Pacifica. 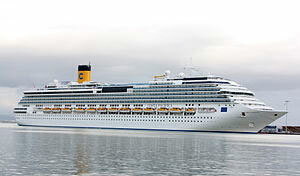 She was later christened at Genoa, Italy on June 5, 2009, in a dual christening ceremony, together with Costa Luminosa. The dual christening ceremony was the world's first, who set a Guinness World Record, at the new category, "Most ships inaugurated in one day by one company." Costa Pacifica has 1,504 staterooms; 521 with private balconies and 91 spa staterooms; 58 suites with private balconies and 12 spa suites. 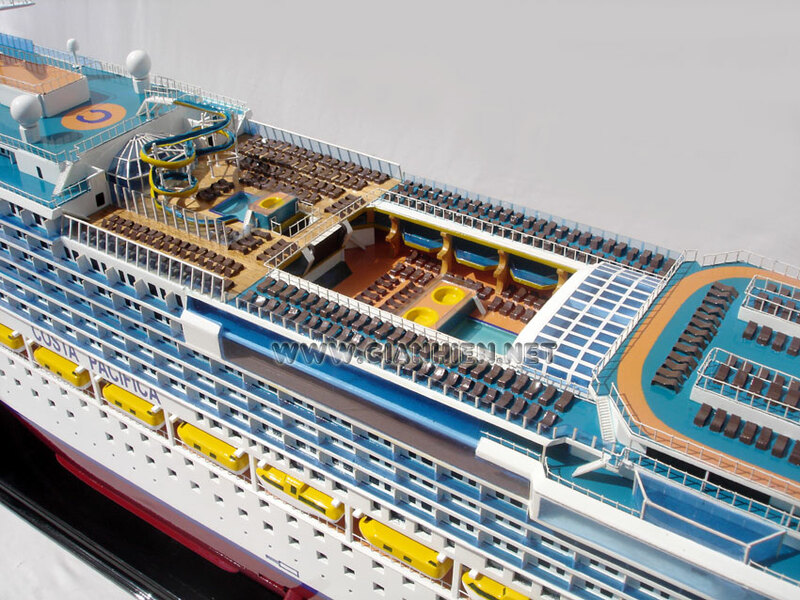 There are 5 onboard restaurants, which include the reservations-only Club Blue Moon and Samsara Restaurant. There are 13 bars, including a Cognac & Cigar Bar and a Coffee and Chocolate Bar. Four swimming pools, 2 with retractable covers, 1 with Toboga, and 4 jacuzzis. The onboard Samsara spa, a two-level, 6,000 m2 (65,000 sq ft) wellness facility with gym, a thalassotherapy pool, treatment rooms, sauna, Turkish bath and a solarium. A poolside screen is located in the Pool deck. Costa Pacifica also have a three-level Theater. There is also the Grand Prix simulator, a Recording studio and a PlayStation World area, where PS3 consoles are available. 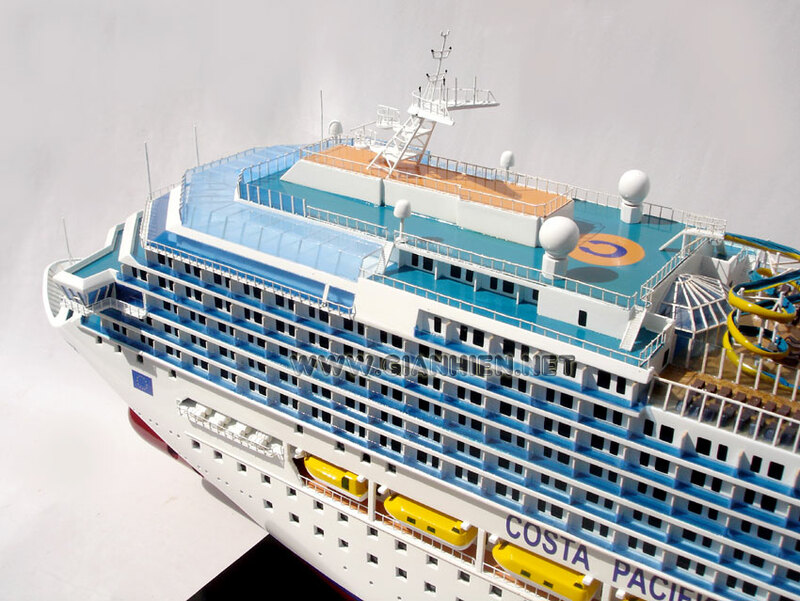 Costa Pacifica is the first cruise ship to have an onboard Recording studio, fitted with most sophisticated equipments. 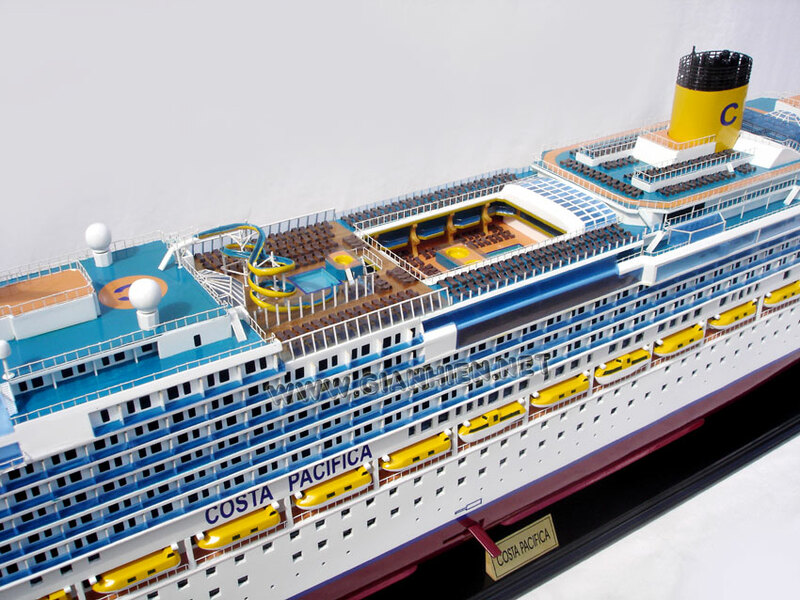 The maiden voyage of Costa Pacifica was on June 6, 2009, an 8-day cruise and departed in Savona, with a special 2-day layover in Palma de Mallorca, Spain. 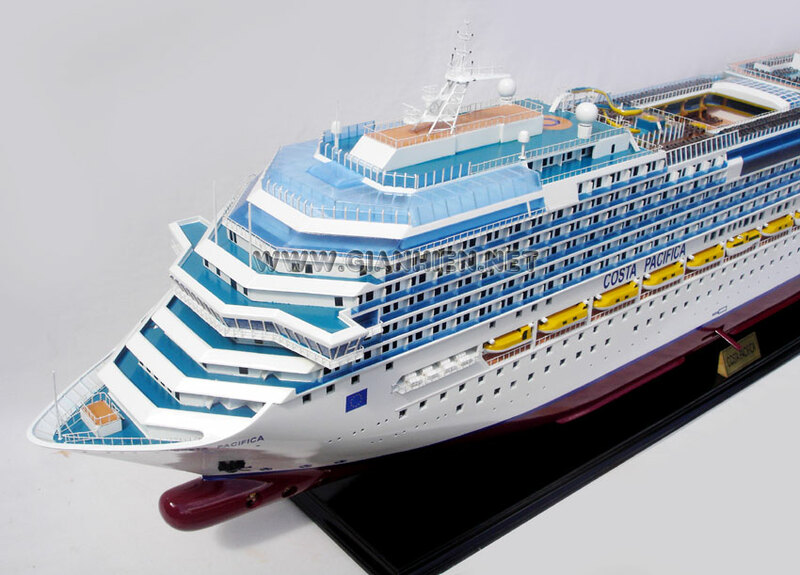 In the entire 2009 summer season, Costa Pacifica offered 7-day cruises in the Western Mediterranean, with calls at Rome, Savona, Marseilles, Barcelona, Palma, Tunis, Malta and Palermo. During the 2009-2010 winter season, Costa Pacifica departed from Rome and Savona, offering 10 and 11-day cruises in Egypt, Israel and Turkey. In Summer 2010, she offered 7-day cruises in the Western Mediterranean, with calls at Rome, Savona, Barcelona, Palma, Tunis, Malta and Catania.